There’s nothing more tedious as a system administrator than running security updates on a dozen servers every single day. Luckily Ubuntu will let you automate stable security updates so you’re never at risk. If you are logged in as root you can skip the sudo, of course. 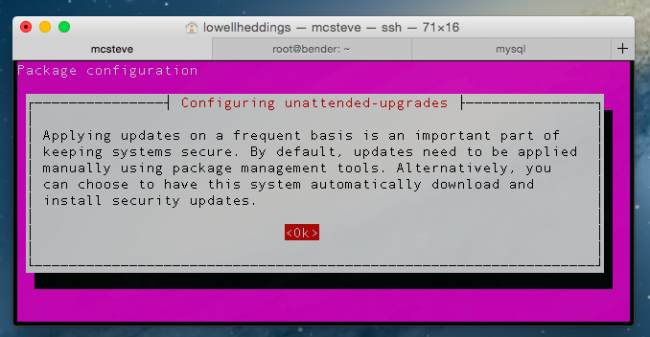 Once you run the command you’ll be presented with a very pink screen that might prompt you to say Ok. 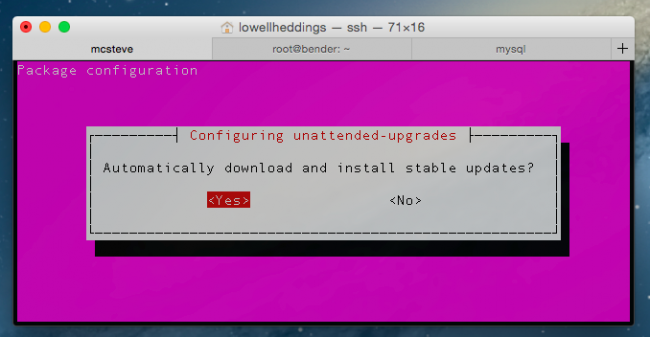 If your terminal was a little wider you probably would see it all on a single page, but either way you’ll be asked if you want to automatically download and install stable updates. Select Yes. 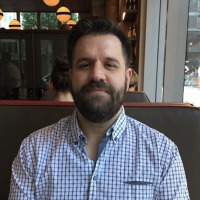 The utility will write out the necessary configuration files, and security updates should become automated. Note that by default it’s going to wait to check once a day, so it’s not like any pending security updates will be instantly installed once you change this setting, but you shouldn’t have to install security updates ever again.